In 1982, An Artist Harvested Two Acres of Wheat on Land Worth $4.5 Billion #ArtTuesday « Adafruit Industries – Makers, hackers, artists, designers and engineers! 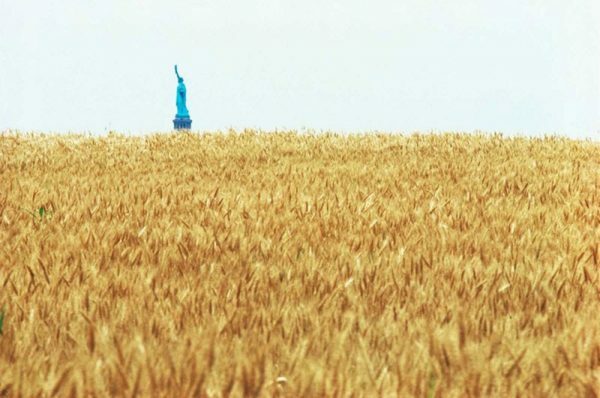 In the summer of 1982, two acres of wheat were planted and harvested by artist Agnes Denes, two blocks from Wall Street and the World Trade Center and facing the Statue of Liberty. Planting and harvesting a field of wheat on land worth $4.5 billion created a powerful paradox. Wheatfield was a symbol, a universal concept; it represented food, energy, commerce, world trade, and economics. 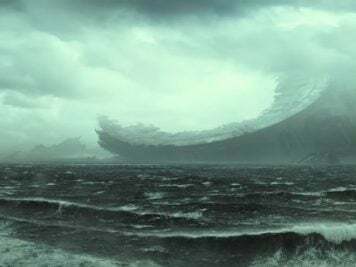 It referred to mismanagement, waste, world hunger and ecological concerns. It called attention to our misplaced priorities. The harvested grain traveled to twenty-eight cities around the world in an exhibition called “The International Art Show for the End of World Hunger”, organized by the Minnesota Museum of Art (1987-90). The seeds were carried away by people who planted them in many parts of the globe. This was not a guerrilla art project. 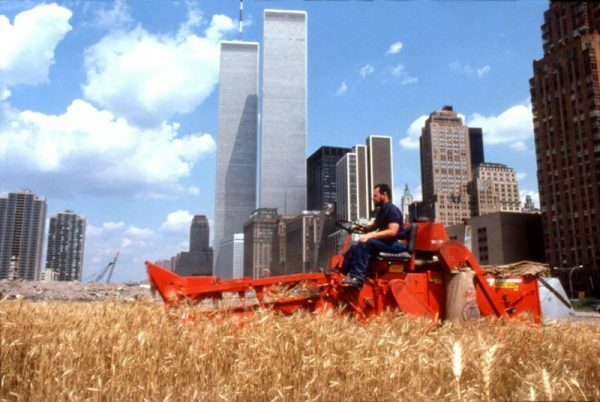 Artist Agnes Denes was commissioned by the Public Art Fund to create a significant public work for Manhattan and in response she conceived, Wheatfield. 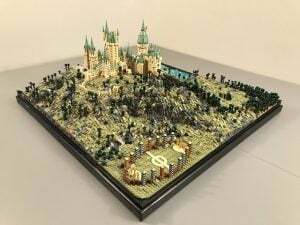 “I decided we had enough public sculptures of men sitting on horses.” Instead, she wanted visitors to feel they weren’t just observing the art, but living it; stepping into a dreamscape in which the Statue of Liberty really does seem to poke out of a country field.